that it is a reaction to the specific urban environment. That is to say, street art is a reactive art form. It is triggered by the conglomeration of social organization and built environment that make up what we call the city. Street art thrives in physical environments of concrete and dilapidated buildings, and feeds of social stratification and anonymity. Differences and power hierarchies are as fundamental to street art as the technique and will to expression. The driving force behind it is a desire to communicate and to take part in shaping the city fabric. 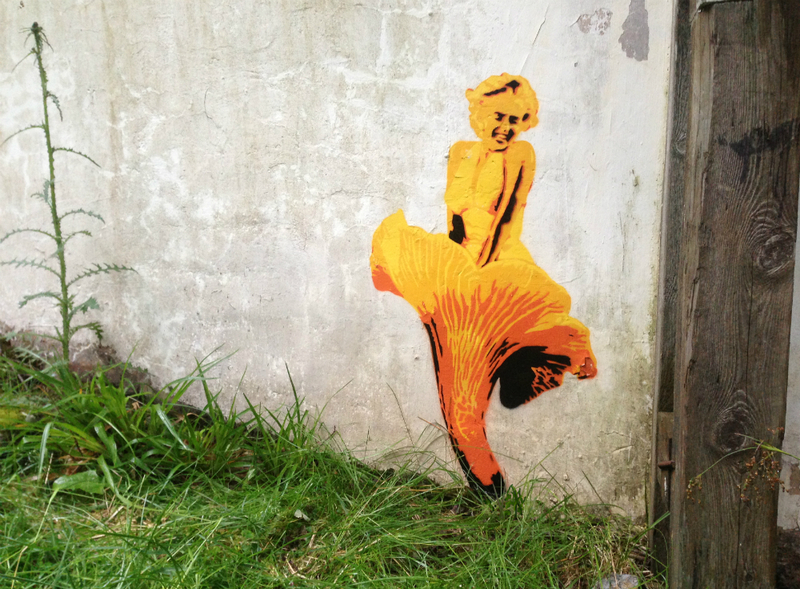 So what are the conditions for a non-urban street art? Somehow that notion is an oxymoron, a contradiction in terms. Street art outside of the street would not become street art. But as a derivative, as a breach or transcendence it may create an out-of-place effect. And as such it can be thought-provoking and provide the friction necessary for re-thinking the urban-rural dichotomy.